Shopping for Planet of the Apes Games? 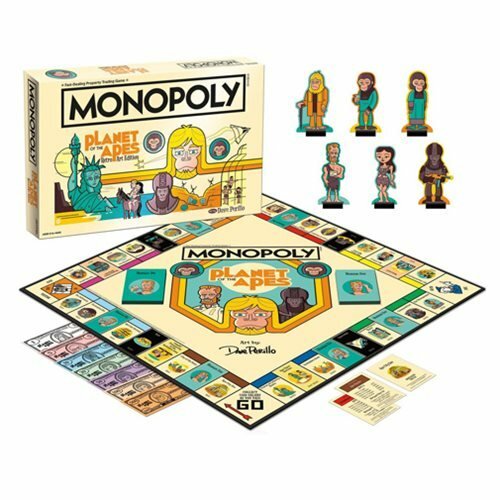 The Planet of The Apes Monopoly Game features custom illustrated art by Dave Perillo with a vintage feel from the classic 1968 science fiction film. Choose from 6 collectible game tokens inspired by the Planet of The Apes movie. For 2 to 6 players. Ages 8 and up.